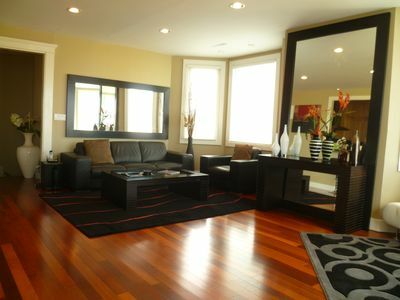 Our Presidio Terrace Lower is a large and elegant flat located in one of San Francisco's most prestigious and serene neighborhoods. 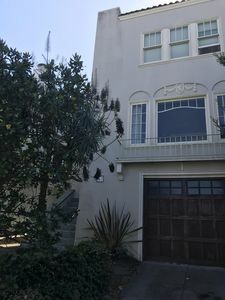 The property is located one block from the Arguello Gate to the Presidio National Park and is within walking distance of the upscale Laurel Village shopping center. 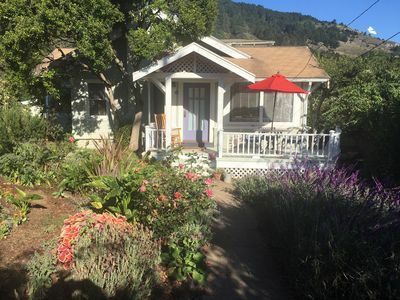 The inner Richmond district is just to the west, centered on Clement Street, with its busy Asian grocery and hardware stores, fish markets, a couple of wonderful bookstores and a wide variety of restaurants, coffee shops and bars. 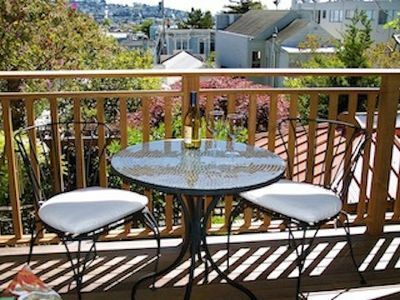 Presidio Terrace offers guests plenty of room to spread out. 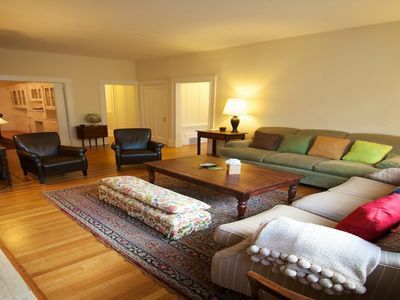 There is a large living room with comfortable sofas and a working fireplace. The living room opens on to the formal dining room. A butler’s pantry acts as a passageway to the kitchen. 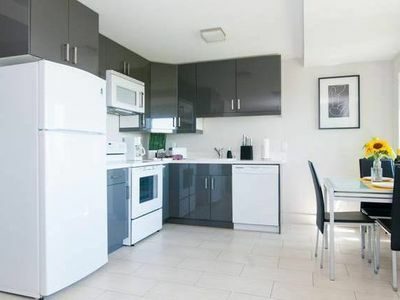 The kitchen is fully equipped with all appliances, including a dishwasher, a full set of dishes and cooking equipment. 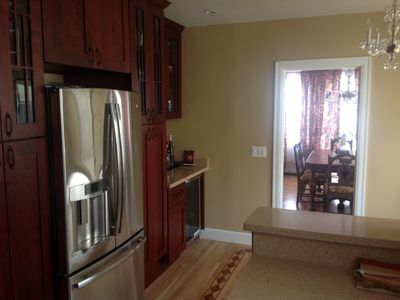 Adjacent to the kitchen is a laundry room with a washer and dryer, and a half bathroom. 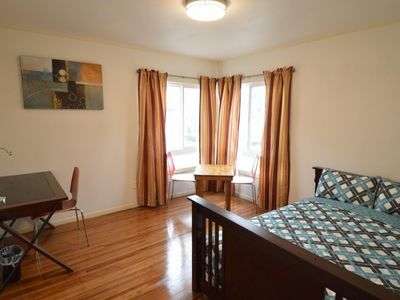 The master bedroom has a King sized bed and boasts great southern views towards Twin Peaks. The master has a private bathroom and a deck. 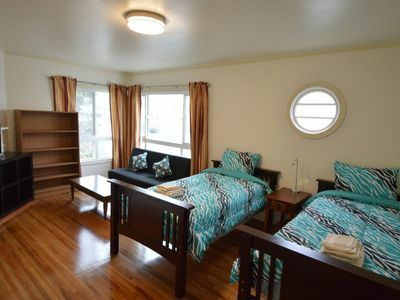 The second bedroom is also large, with a Queen bed and access to the deck. There are two more bedrooms, one with a double bed and one with a single bed. There is also another full bathroom. 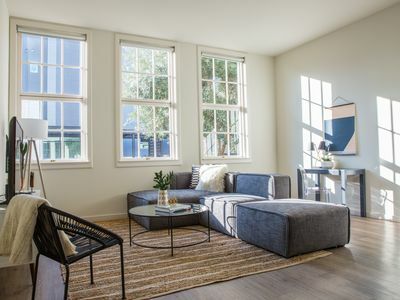 Presidio Terrace offers ample space and comfort in a quiet, affluent residential neighborhood. 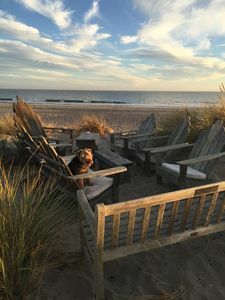 It is ideal for a family or small group traveling together.